Corporate Responsibility is a business approach that creates long-term value by embracing opportunities and managing risks deriving from economic, environmental and social developments. Important issues are changing our world and are having a measurable impact on companies’ top and bottom line. Long-term challenges such as resource scarcity, demographic shifts and climate change are redefining societal expectations, public policies, regulatory frameworks, and hence business environments and investment outcomes. 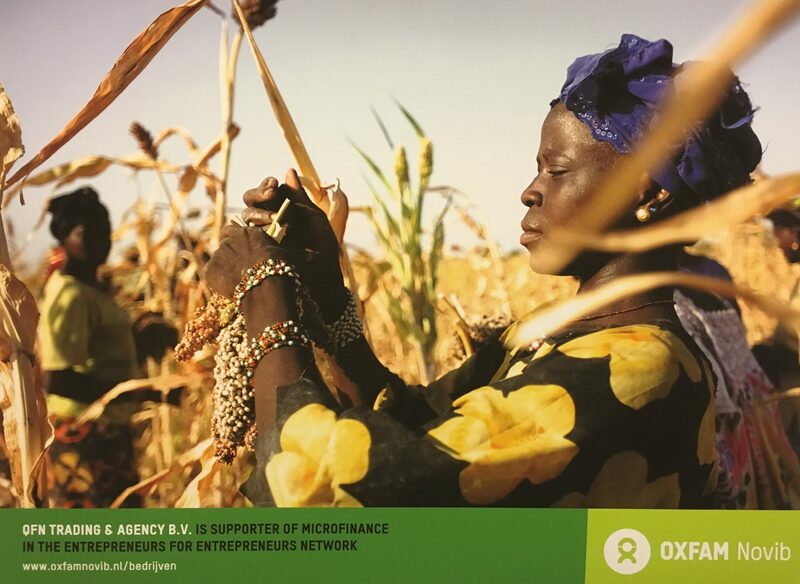 Our team supports the Microfinance system of Oxfam Novib. Financial support can boost the entrepreneurship of the local people in developing countries and could make the world a little better. QFN considers the environment also to be an important stakeholder. Although the environmental impact of QFN is limited, we try to make conscious choices and reduce our environmental footprint where possible. We work on saving energy in our own operations, reducing waste and recycling of materials that we no longer use. QFN informs her suppliers of our Environmental Policy, since they play an important role in these environmental efforts.